Local youngsters from June D Gill School of Theatre Dance, based at Stephen Hill church in Crosspool, have been selected for the Disney Performing Arts onstage programme in Paris – and they’re hosting a special event to raise funds to help make the trip happen. The group is busily raising funds to support the 27 girls with the cost of costumes and travel for the October trip. Local Businesses in Crosspool, Fulwood, Ranmoor and Broomhill have donated some fabulous prizes for a raffle. Tickets can be purchased at the Dance School Stephen Hill on Saturdays Mornings or by calling Lucy on 07854 285700. 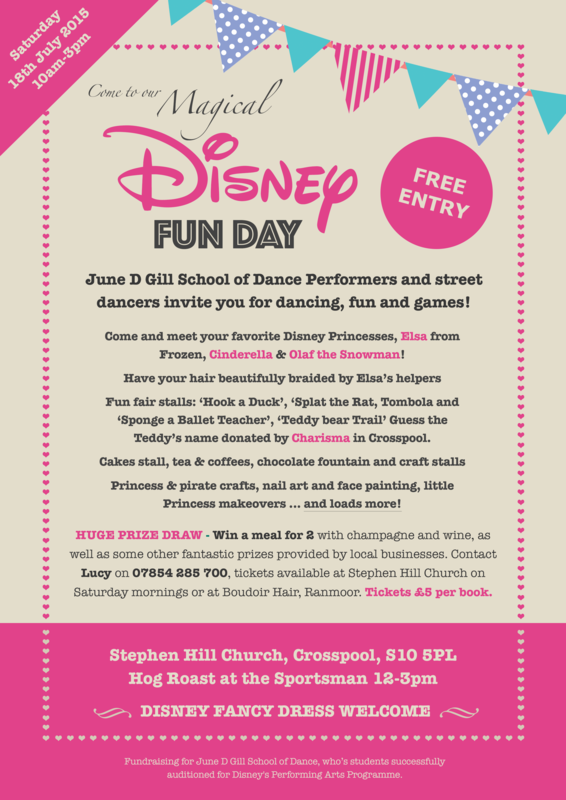 Meanwhile, on Saturday 18 July they’ll hold a Magical Disney Fun Day at Stephen Hill Church from 10am-2pm. 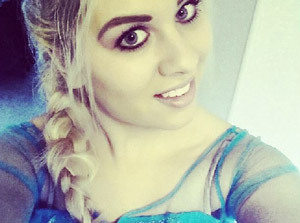 Princess Elsa from Frozen, Cinderella and other guests will be meeting everyone and there will be a summer fair with cake stalls, a chocolate fountain, coffee, dancing, face painting, nail art, hair braiding, sideshows, princess & pirate crafts and princess pamper massages for parents. Come in fancy dress if you like! This entry was posted in events and tagged disney, frozen, fundraiser, june d hill school of dance, paris. Bookmark the permalink.